Guive Mirfendereski writes: Here is one picture that might inaugurate for you a gallery dedicated to pictures of people assembled on a stoop. As you know, in the northeast of the U.S. "stooping," is an urban art: This when people assemple on the stoops/stairs of a dwelling and schmooz, drink, and what not. Apparently the art of stooping was also practiced in Iran and among Iranians. 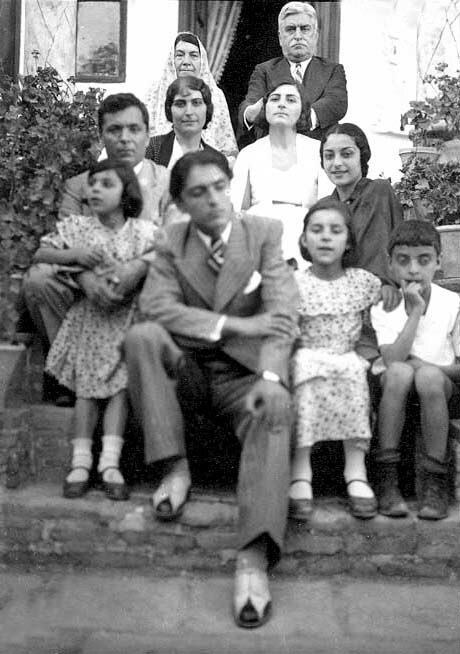 This picture should be captioned : Stooping in Amiriyeh, Tehran, Iran 1935.